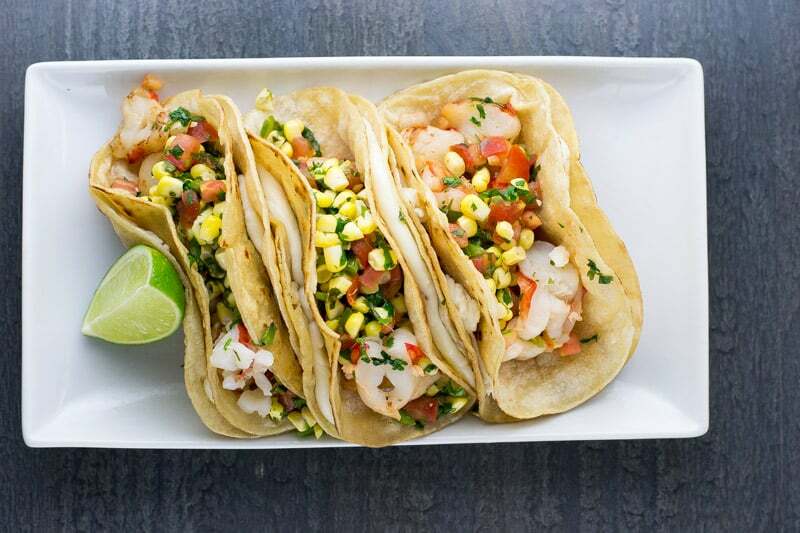 The desert and sea of Baja Mexico brought us decadent and succulent Shrimp Tacos. Prepare to get messy. The first shrimp tacos Katherine and I ate after we landed in La Paz, Baja Mexico were out of this small, outdoor restaurant across the street from the Sea of Cortez. The sun was minutes from setting, and the street was coming alive with vendors and families and music. Sitting on a pair of red plastic chairs, nursing two icy Dos Equis beers, the shrimp tacos arrived steaming hot, drenched in cheese and a piquant salsa. Paper napkins would offer no help. But we ordered another round. I made my version of this taco repeatedly over the years and with great joy for our boys. It’s my pleasure to share it with you, now. The secret to this taco is the layer of Queso Blanco in between two tortillas. It serves a dual purpose of adding cheesy goodness to the dish but also acting as a container for the juices coming from the sauteed shrimp and corn salsa. The centerpiece of the shrimp tacos is, of course, the shrimp. Shrimp are so finicky and are easily overcooked, so you need to be very judicious on how long you leave them over the heat. It’s easier to keep cooking the shrimp until they are just barely cooked, then trying to salvage tightly curled, chewy shrimp that feel like our kids’ day-old pile of Playdoh. However, getting the right shrimp from the start is imperative. We drafted a quick primer on selecting the best shrimp for any dish in our Bouillabaisse recipe. Take a quick look before you head to the market. 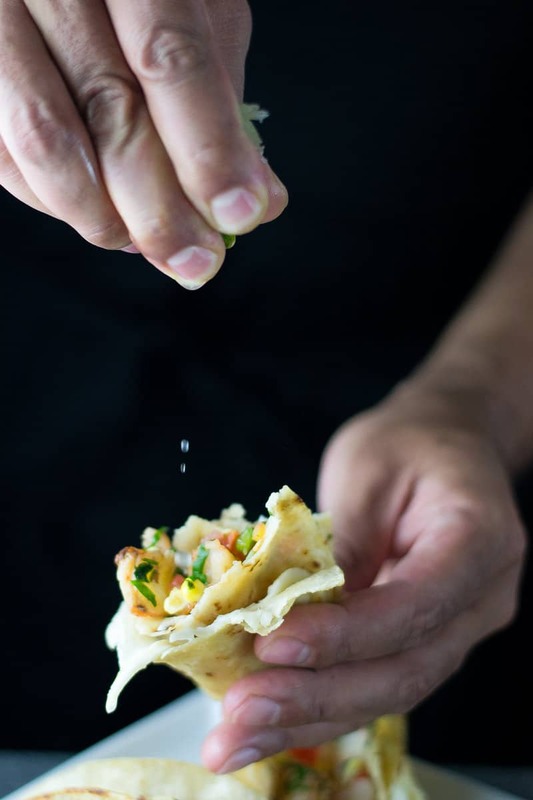 Serve the shrimp tacos quickly to make sure your guests get the joy of pulling apart the melty Queso Blanco. 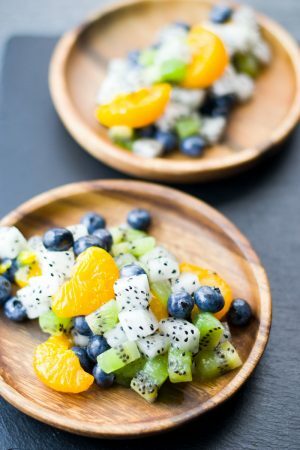 And right before you take the first enormous bite, restrain yourself for a second and squeeze a bit of fresh lime juice first. You can thank me later. If you can’t easily get corn tortillas, flour tortillas will do just fine. Queso Blanco can be a bit challenging to get in certain supermarkets, so feel free to use mozzarella. For an added bit of sweetness, fold some diced mango into your corn salsa. Get the full Corn Salsa recipe here. In a medium size saute pan on medium heat add butter. Melt butter for one minute. After two minutes add cilantro, salt, crushed garlic cloves, and grape seed oil. In a small size pot on medium heat, add fresh Queso Blanco. When Queso starts to melt, use a fork to stir. (Should have a stringy, mozzarella style consistency). In a large sheet tray add 16 corn tortillas. While Queso is still warm, use a fork to spread Queso evenly on eight tortillas. Place the other four on top immediately. (Like a Quesadilla). Gently fold each taco on the plate. 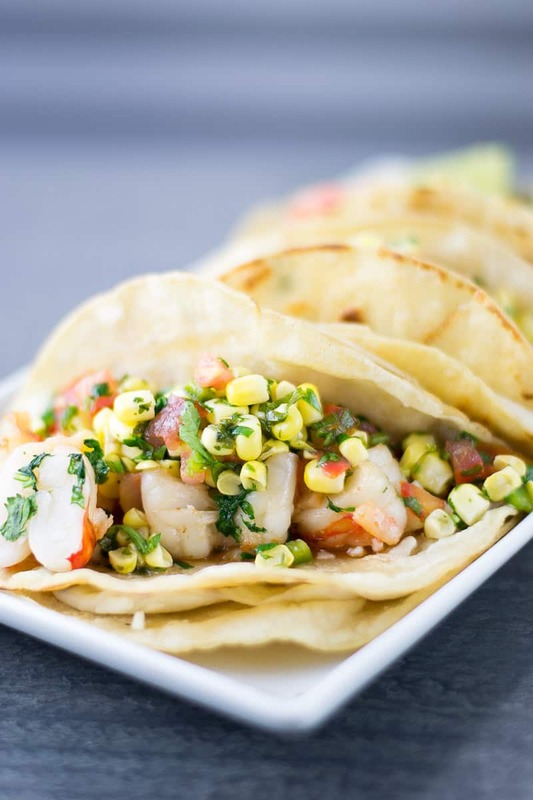 Divide sauteed shrimp evenly on each taco and add corn salsa on top. I love shrimp tacos. 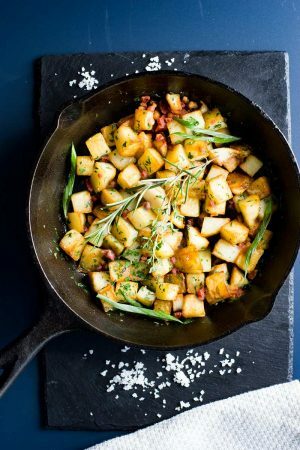 Your photos are gorgeous and I love this spin on the recipe. Shrimp tacos are my favourite! They are so light and fresh and they just scream summer. That salsa looks amazing too. Great recipe, you made me feel I was in Mexico…… I will thank you now ! These sound and look amazing! 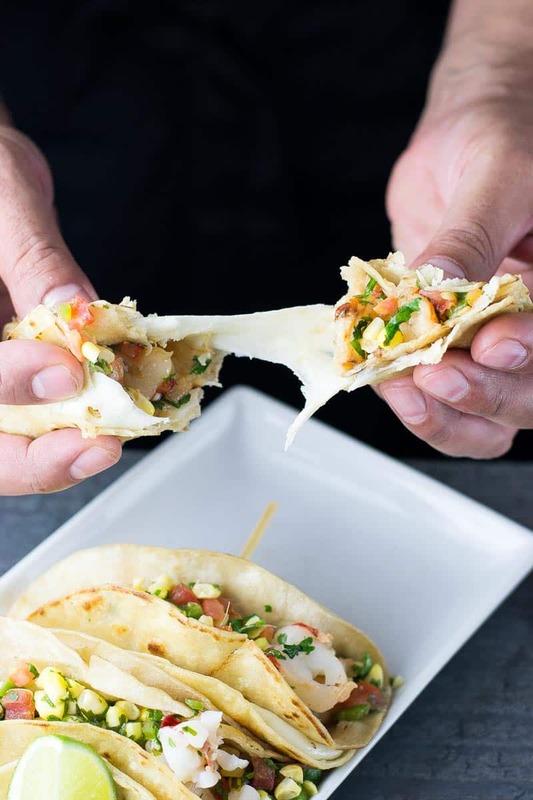 That cheese between two tortillas is such a great idea. Love it. These look divine!! Love a good messy taco! I’m just trying to see where the last 4 tortillas go? The recipe says 12 tortillas but it looks like only 8 are used. 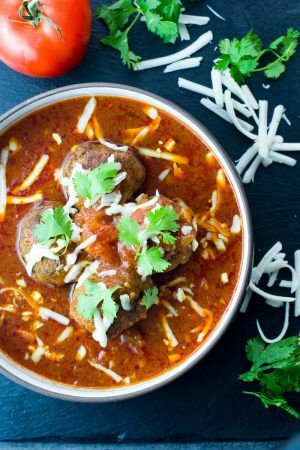 I’m about to try this recipe tonight – it looks incredibly good! Yum!!! Bad food math! Thanks for the heads up. It should actually be 16, I corrected it on the recipe. It’s two tortillas per taco, like a sandwich for the cheese and two tacos per person, serving four. I can easily eat three, however, so depending on who you’re feeding, you may want to stock up =). Wow…these shrimp tacos have turned out so tasty and perfect. Loved the pics. My entire family go crazy for tacos in the restaurant.